For solo and small physician practices, the recently published proposed rule for how the Centers for Medicare & Medicaid Services (CMS) plans to implement the Medicare and Children’s Health Insurance Program Reauthorization Act (MACRA) set off some alarm bells. 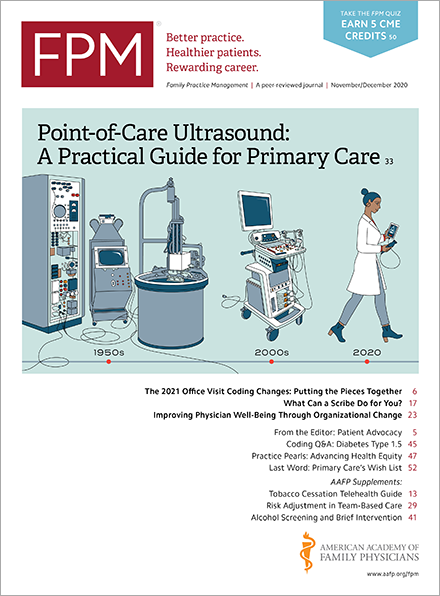 According to the proposed rule’s regulatory impact analysis, 87 percent of solo practice clinicians who are eligible for the Merit-Based Incentive Payment System (MIPS) – one of two payment tracks under MACRA – will receive a penalty; for groups of two to nine clinicians, the percentage is almost 70 percent. • Clinicians or groups that have $10,000 or less in Medicare charges and 100 Medicare patients or fewer are excluded from the MIPS payment adjustment. • When a practice is scored for MIPS, it will only be scored for categories where it has a sufficient number of applicable measures and activities. • Small groups will have more flexibility within each of the MIPS performance categories. For example, CMS will calculate only two population measures based on claims data for solo physicians and groups of nine or fewer physicians instead of the three population measures required for larger groups under the quality performance category of MIPS. CMS also notes that the proposed rule allows small practices or practices in rural or healthcare professional shortage areas to participate in the Advanced APM track – and receive incentive payments – by providing special rules for these practices to qualify as Advanced APMs under medical home models. Ironically, CMS plans to delay implementing one provision of MACRA specifically intended to help solo and small group practices succeed under MIPS. Specifically, MACRA allows MIPS-eligible professionals to combine into “virtual” groups to participate in the payment track. However, as noted in the fact sheet and the proposed rule, CMS will not make this option available until the second year of the program.